Listen to Laura’s Healthy Living self-hypnosis session as you fall asleep each night and reprogram you subconscious mind to think and act like the healthy person you want to be. Release stress and reprogram toxic attitudes with new healthy habits of health and wellness. Make changes from the inside out with Healthy Living self-hypnosis. Creating true health starts with your subconscious mind, where all of your habits, automatic reactions (triggers) and even your set-point for your weight are stored. 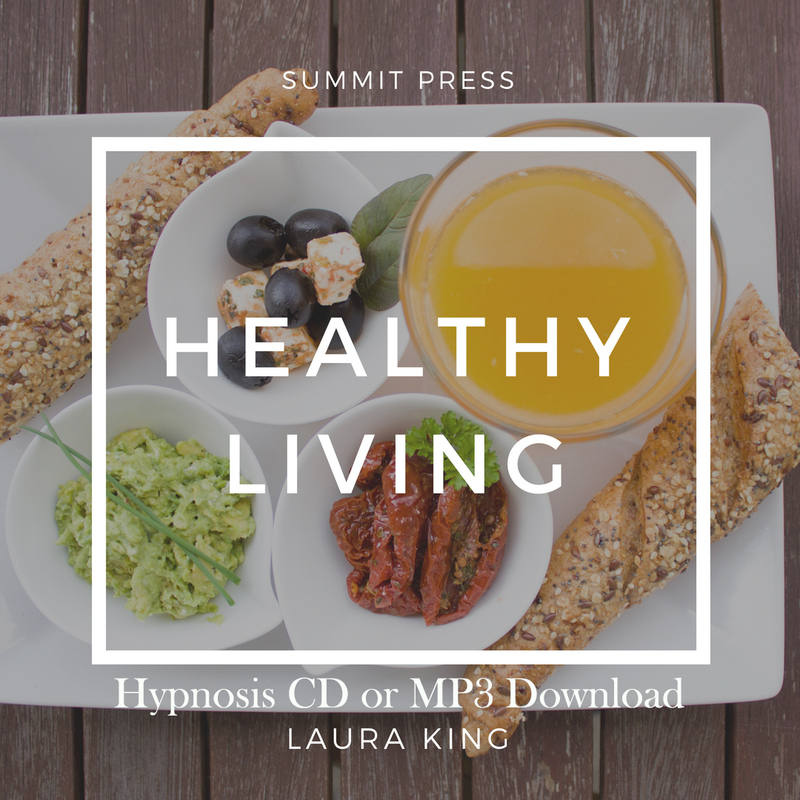 With Healthy Living self-hypnosis, Laura gives you the tools to easily and automatically make healthy lifestyle choices. Listen while you fall asleep and you will learn life-changing relaxation and visualization techniques that release stress and reprogram toxic attitudes. Thought pathways are rewired to healthy habits and wellness as you listen. You will start to see and know yourself as a healthy person who exercises regularly and makes smart food decisions. This change in your self-image lasts longer than a normal diet because you are now in control of your life. Listen at least 21 nights as you fall asleep, and let Laura reprogram your subconscious mind to live a healthy, balanced life. You will have more energy to do the things you want to do. Friends and family will want to know your secret because you will look and feel great! Don’t waste another minute! Start listening tonight with our easy to download MP3 self-hypnosis session for Healthy Living.